Dec 30, Malachi Richardson Recall. Dec 30, Omari Spellman Assignment. Dec 30, Svi Mykhailiuk Recall. Dec 29, Brandon Knight Assignment. Dec 29, Donte DiVincenzo Recall. Dec 29, Isaac Bonga Assignment. Dec 29, Malachi Richardson Assignment. Dec 29, Moe Wagner Assignment. Dec 29, Svi Mykhailiuk Assignment. Dec 29, Tony Bradley Recall. Dec 28, Dion Waiters Assignment. Dec 28, Donte DiVincenzo Assignment. Dec 28, Dwayne Bacon Recall. Dec 28, Harry Giles Assignment. Dec 28, Tony Bradley Assignment. Dec 27, Chimezie Metu Assignment. Dec 27, Dwayne Bacon Assignment. Dec 27, Lonnie Walker Assignment. Dec 26, Christian Wood Assignment. Dec 26, Isaiah Hartenstein Assignment. Dec 26, Jerome Robinson Assignment. Dec 24, Christian Wood Recall. Dec 24, Donte DiVincenzo Recall. Dec 24, Isaiah Hartenstein Recall. Dec 23, Chimezie Metu Recall. Dec 23, Grayson Allen Recall. Dec 23, Lonnie Walker Recall. Dec 23, Tony Bradley Recall. Dec 22, Keita Bates-Diop Recall. Dec 22, Troy Brown, Jr.
Dec 21, Georges Niang Recall. Dec 21, Jonah Bolden Recall. Dec 20, Isaac Bonga Assignment. Dec 20, Isaiah Hartenstein Assignment. Dec 20, Jacob Evans Assignment. Dec 20, Troy Brown, Jr. Dec 19, Donte DiVincenzo Assignment. Dec 19, Harry Giles Assignment. Dec 18, Brandon Ingram Assignment. Dec 18, Brandon Ingram Recall. Dec 18, Georges Niang Assignment. Dec 18, Grayson Allen Assignment. Dec 18, Isaiah Hartenstein Recall. Dec 18, Jonah Bolden Assignment. Dec 18, Okaro White Assignment. Dec 17, Alize Johnson Assignment. Dec 17, Isaiah Hartenstein Assignment. Dec 16, Kenrich Williams Recall. Dec 16, Troy Brown, Jr. Dec 15, Frank Jackson Recall. Dec 15, Jacob Evans Assignment. Dec 15, Tony Bradley Assignment. Dec 15, Troy Brown, Jr. Dec 14, Chimezie Metu Assignment. Dec 14, Frank Jackson Assignment. Dec 14, Georges Niang Recall. Dec 14, Grayson Allen Recall. Dec 14, Isaiah Hartenstein Recall. Dec 14, Jonah Bolden Recall. Dec 14, Kenrich Williams Assignment. Dec 14, Tony Bradley Recall. Dec 13, DeMarcus Cousins Recall. Dec 13, Georges Niang Assignment. Dec 13, Grayson Allen Assignment. Dec 13, Isaiah Hartenstein Assignment. Dec 13, Tony Bradley Assignment. Dec 12, Christian Wood Assignment. Dec 12, DeMarcus Cousins Assignment. Dec 12, Dwayne Bacon Assignment. Dec 12, Dwayne Bacon Recall. Dec 12, Georges Niang Recall. Dec 12, Grayson Allen Recall. Dec 12, Tony Bradley Recall. Dec 11, Christian Wood Recall. Dec 11, D. Dec 11, Daniel Hamilton Recall. Dec 11, Elie Okobo Assignment. Dec 11, Frank Jackson Recall. Dec 11, Georges Niang Assignment. Dec 11, Grayson Allen Assignment. Dec 11, Troy Brown, Jr. Dec 10, Antonio Blakeney Assignment. Dec 10, Antonio Blakeney Recall. Dec 10, Courtney Lee Assignment. Dec 10, DeMarcus Cousins Assignment. Dec 10, DeMarcus Cousins Recall. Dec 10, Isaiah Hartenstein Recall. Dec 10, Jonah Bolden Assignment. Dec 10, Robert Williams Recall. Dec 9, Chimezie Metu Recall. Dec 8, Chimezie Metu Assignment. Dec 8, Dwayne Bacon Assignment. Dec 7, Christian Wood Assignment. Dec 7, Melvin Frazier, Jr. Dec 6, Daniel Hamilton Assignment. Dec 6, Grayson Allen Recall. Dec 6, Jevon Carter Assignment. Dec 6, Kenrich Williams Recall. Dec 6, Okaro White Assignment. Dec 6, Robert Williams Assignment. Dec 6, Troy Brown, Jr. Dec 5, Grayson Allen Assignment. Dec 4, Alize Johnson Recall. Dec 4, Bobby Portis Assignment. Dec 4, Christian Wood Recall. Dec 4, Dzanan Musa Assignment. Dec 4, Frank Jackson Assignment. Dec 4, Georges Niang Recall. Dec 4, Grayson Allen Recall. Dec 4, Isaiah Hartenstein Assignment. Dec 4, Jevon Carter Assignment. Dec 3, Georges Niang Assignment. Dec 3, Grayson Allen Assignment. Dec 3, Ike Anigbogu Assignment. Dec 3, Malachi Richardson Recall. Dec 2, Abdel Nader Assignment. Dec 2, Chimezie Metu Recall. Dec 2, Christian Wood Assignment. Dec 2, Dzanan Musa Assignment. Dec 2, Malachi Richardson Assignment. Dec 1, Brandon Knight Recall. Dec 1, Chimezie Metu Assignment. Dec 1, Dwayne Bacon Assignment. Dec 1, Kenrich Williams Assignment. Nov 30, Brad Wanamaker Recall. Nov 30, Brandon Knight Assignment. Nov 30, Christian Wood Recall. Nov 29, Brad Wanamaker Assignment. Nov 29, Dzanan Musa Assignment. Nov 29, Jevon Carter Assignment. Nov 29, Keita Bates-Diop Assignment. Nov 29, Luke Kennard Assignment. Nov 28, Moe Wagner Assignment. Nov 28, Rodions Kurucs Recall. Nov 28, Svi Mykhailiuk Assignment. Nov 28, Svi Mykhailiuk Recall. Nov 27, Christian Wood Assignment. Nov 27, Jerome Robinson Recall. Nov 27, Melvin Frazier, Jr. Nov 27, Okaro White Assignment. Nov 27, Sindarius Thornwell Recall. Nov 26, Kenrich Williams Recall. Nov 26, Sindarius Thornwell Assignment. Nov 26, Tony Bradley Assignment. Nov 26, Troy Brown, Jr.
Nov 25, D. Nov 25, Keita Bates-Diop Recall. Nov 25, Khyri Thomas Recall. Nov 25, Lonnie Walker Assignment. Nov 25, Tony Bradley Recall. Nov 25, Troy Brown, Jr. Nov 24, Khyri Thomas Assignment. Nov 24, Troy Brown, Jr. Nov 23, Ike Anigbogu Recall. Nov 23, Jerome Robinson Assignment. Nov 23, Rodions Kurucs Assignment. Nov 23, Troy Brown, Jr. Nov 22, Kenrich Williams Assignment. Nov 21, Chimezie Metu Recall. Nov 21, Jevon Carter Assignment. Nov 20, Chimezie Metu Assignment. Nov 20, Keita Bates-Diop Assignment. Nov 19, Dzanan Musa Assignment. Nov 19, Ike Anigbogu Assignment. Nov 19, Melvin Frazier, Jr. Nov 18, Bruce Brown, Jr.
Nov 18, Christian Wood Recall. Nov 18, Henry Ellenson Recall. Nov 18, Jonah Bolden Recall. Nov 18, Khyri Thomas Recall. Nov 18, Melvin Frazier, Jr. Nov 18, Sterling Brown Recall. Nov 18, Thomas Bryant Recall. Nov 17, Christian Wood Assignment. Nov 17, Dzanan Musa Assignment. Nov 17, Ike Anigbogu Recall. Nov 17, Isaiah Briscoe Recall. Nov 17, Sterling Brown Assignment. Nov 16, Brad Wanamaker Recall. Nov 16, Bruce Brown, Jr. Nov 16, Guerschon Yabusele Recall. Nov 16, Henry Ellenson Assignment. Nov 16, Isaiah Briscoe Assignment. Nov 16, JaMychal Green Assignment. Nov 16, JaMychal Green Recall. Nov 16, Khyri Thomas Assignment. Nov 16, Melvin Frazier, Jr. Nov 16, Robert Williams Recall. Nov 15, Brad Wanamaker Assignment. Nov 15, Bruce Brown, Jr. Nov 15, Christian Wood Recall. Nov 15, Guerschon Yabusele Assignment. Nov 15, Henry Ellenson Assignment. Nov 15, Henry Ellenson Recall. Nov 15, Isaiah Briscoe Recall. Nov 15, Jonah Bolden Assignment. Nov 15, Khyri Thomas Assignment. Nov 15, Khyri Thomas Recall. Nov 15, Melvin Frazier, Jr. Nov 15, Sterling Brown Recall. Nov 15, Thomas Bryant Assignment. Nov 14, Isaiah Briscoe Assignment. Nov 14, Jerome Robinson Assignment. Nov 14, Jerome Robinson Recall. Nov 14, Malachi Richardson Recall. Nov 14, Melvin Frazier, Jr. Nov 14, Raulzinho Neto Recall. Nov 14, Robert Williams Assignment. Nov 14, Sterling Brown Assignment. Nov 14, Troy Brown, Jr. Nov 13, Christian Wood Assignment. Nov 13, Elie Okobo Assignment. Nov 13, Raulzinho Neto Assignment. Nov 13, Svi Mykhailiuk Recall. Nov 12, Chasson Randle Recall. Nov 12, Jerome Robinson Recall. Nov 12, Jevon Carter Recall. Nov 12, Moe Wagner Assignment. Nov 12, Sindarius Thornwell Recall. Nov 12, Svi Mykhailiuk Assignment. Nov 11, Abdel Nader Assignment. Nov 11, Chasson Randle Assignment. Nov 11, Harry Giles Assignment. Nov 11, Henry Ellenson Recall. Nov 11, Isaiah Briscoe Recall. Nov 11, Jevon Carter Assignment. Nov 11, Keita Bates-Diop Recall. Nov 11, Khyri Thomas Recall. Nov 11, Melvin Frazier, Jr.
Nov 11, Sindarius Thornwell Assignment. Nov 10, Henry Ellenson Assignment. Nov 10, Isaiah Briscoe Assignment. Nov 10, Keita Bates-Diop Assignment. Nov 10, Khyri Thomas Assignment. Nov 10, Melvin Frazier, Jr. Nov 9, Abdel Nader Assignment. Nov 9, Chimezie Metu Recall. Nov 9, Jerome Robinson Assignment. Nov 9, Malachi Richardson Assignment. Nov 9, Sindarius Thornwell Assignment. Nov 9, Sindarius Thornwell Recall. Nov 8, Abdel Nader Assignment. Nov 8, Chimezie Metu Assignment. Nov 8, Henry Ellenson Recall. Nov 8, Jonah Bolden Assignment. Nov 8, Tony Bradley Assignment. Nov 7, Alize Johnson Assignment. Nov 7, Derrick White Recall. Nov 7, Henry Ellenson Assignment. Nov 7, Khyri Thomas Assignment. Nov 6, Jacob Evans Assignment. Nov 5, Chasson Randle Recall. Nov 5, Derrick White Assignment. Nov 5, Dzanan Musa Assignment. Nov 5, Ike Anigbogu Assignment. Nov 5, Jerome Robinson Recall. Nov 5, Luke Kornet Assignment. Nov 5, Sindarius Thornwell Recall. Nov 4, Daniel Hamilton Recall. Nov 4, Henry Ellenson Recall. Nov 4, Jerome Robinson Assignment. Nov 4, Robert Williams Recall. Nov 4, Rodions Kurucs Recall. Nov 4, Sterling Brown Recall. Nov 3, Dzanan Musa Assignment. Nov 3, Rodions Kurucs Assignment. Nov 3, Sterling Brown Assignment. Nov 2, Dzanan Musa Assignment. Nov 2, Henry Ellenson Assignment. Nov 2, Jonah Bolden Assignment. Nov 2, Khyri Thomas Assignment. Nov 2, Robert Williams Assignment. Nov 2, Rodions Kurucs Assignment. Nov 2, Rodions Kurucs Recall. Oct 31, Chasson Randle Assignment. Oct 31, Jevon Carter Assignment. Oct 31, Jonah Bolden Assignment. Oct 30, Daniel Hamilton Assignment. Oct 30, Dzanan Musa Assignment. Oct 30, Ike Anigbogu Assignment. Oct 30, Jevon Carter Recall. Oct 29, Raymond Spalding Assignment. Oct 29, Sindarius Thornwell Assignment. Oct 28, Dzanan Musa Assignment. Oct 28, Ike Anigbogu Recall. Oct 26, Moe Wagner Assignment. Oct 25, Chimezie Metu Assignment. Oct 25, Chimezie Metu Recall. Oct 23, Tony Bradley Assignment. Oct 22, Ike Anigbogu Assignment. Oct 22, Isaac Bonga Assignment. Oct 22, Jevon Carter Assignment. Oct 31, Guerschon Yabusele. Oct 30, Juancho Hernangomez. Oct 29, Terrance Ferguson. Jan 31, Kristaps Porzingis. Jan 7, Michael Carter-Williams. Jul 25, Timothe Luwawu-Cabarrot. Jan 6, Demetrius Jackson. Dec 16, DeVaughn Akoon-Purcell. Oct 15, Shaquille Harrison. Oct 14, Alessandro Gentile. Oct 13, Antonius Cleveland. Oct 13, Bonzie Colson, Jr. Oct 13, Braian Angola-Rodas. Oct 13, Darius Johnson-Odom. Oct 13, Derrick Walton, Jr. Oct 13, Johnathan Williams. Oct 13, Kyle Collinsworth. Oct 13, Marcus Georges-Hunt. Oct 11, Jordan McLaughlin. Oct 8, Codi Miller-McIntyre. Oct 8, Jaron Blossomgame. Jul 21, Antonius Cleveland. Jul 18, George Papagiannis. Jul 6, Kyle Collinsworth. Trey Burke , Tim Hardaway Jr. The Dallas Mavericks placed the contract of Raymond Spalding on waivers. John Jenkins signed a contract with the Washington Wizards. Isaiah Canaan signed a contract with the Minnesota Timberwolves. Stephan Hicks , previously with the Indiana Pacers , became a free agent. Emanuel Terry signed a contract with the Phoenix Suns. Quincy Acy , previously with the Phoenix Suns , became a free agent. Kobi Simmons signed a contract with the Cleveland Cavaliers. Cameron Payne , previously with the Cleveland Cavaliers , became a free agent. Corey Brewer signed a contract with the Philadelphia Sixers. Corey Brewer , previously with the Philadelphia Sixers , became a free agent. Mitchell Creek signed a contract with the Brooklyn Nets. Bruno Caboclo signed a contract with the Memphis Grizzlies. Carmelo Anthony , the draft rights to Jon Diebler and cash. Kenneth Faried signed a contract with the Houston Rockets. Kenneth Faried , previously with the Brooklyn Nets , became a free agent. The Houston Rockets terminated the 10 day contract for James Nunnally. Brooklyn Nets Waived on July 6. Utah Jazz Waived on July 7. UMBC Undrafted in Florida State Undrafted in North Carolina Undrafted in Chicago Bulls previously on a two-way contract. Oklahoma State Undrafted in Luc Mbah a Moute. Golden State Warriors previously on a two-way contract. Gonzaga Undrafted in Chicago Bulls Claimed off waivers. Atlanta Hawks Waived on July Shandong Golden Stars China. TCU Undrafted in Boston Celtics previously on a two-way contract. Denver Nuggets previously on a two-way contract. Arkansas Undrafted in Texas Tech Undrafted in Virginia Undrafted in College of Charleston Undrafted in New York Knicks Waived on July Connecticut Undrafted in UNLV Undrafted in Phoenix Suns Previously waived on February 8. Los Angeles Lakers previously on a two-way contract. Missouri Undrafted in Orlando Magic Waived on June Lincoln Memorial Undrafted in Houston Undrafted in California Undrafted in Ole Miss Undrafted in Purdue Undrafted in USC Undrafted in Zhejiang Golden Bulls China. JL Bourg Basket France. Chicago Bulls Previously waived on February 1. Wake Forest Undrafted in Florida Gulf Coast Undrafted in Delaware 87ers G League. Dallas Mavericks Waived on August 6. La Salle Undrafted in Houston Rockets Previously on a two-way contract. Los Angeles Lakers Waived on September 1. Louisville Undrafted in Dallas Mavericks Waived on July 6. Minnesota Timberwolves Waived on June Northern Arizona Suns G League. Florida Undrafted in Georgetown Undrafted in Morgan State Undrafted in Toronto Raptors Waived on July Oakland Undrafted in Real Madrid Baloncesto Spain. Memphis Grizzlies Waived on June Detroit Pistons Waived on July 8. New Orleans Pelicans Waived on September Oklahoma City Blue G League. Grand Rapids Drive G League. Notre Dame Undrafted in Xavier Undrafted in Texas—Arlington Undrafted in Austin Spurs G League. Atlanta Metropolitan Undrafted in New Mexico State Undrafted in Seton Hall Undrafted in Memphis Grizzlies Waived on August Murray State Undrafted in Atlanta Hawks Waived on June Phoenix Suns Waived on June Cleveland Cavaliers Waived on August 5. Virginia Tech Undrafted in Middle Tennessee Undrafted in Baylor Undrafted in Vanderbilt Undrafted in The Mavs would also take on the contracts of Tim Hardaway Jr. The trade gives the Knicks enough salary cap space for two max contracts this summer. The Eastern Conference reserves have been announced, headlined by Ben Simmons. Oladipo will be replaced by another player due to his season ending injury. James was upgraded to doubtful for the game. He has missed the previous 17 games with a groin injury. The Lakers are in that span. Leonsis said the Wizards would not tank the season. The Milwaukee Bucks placed the contract of Tim Frazier on waivers. Alexis Ajinca and a TPE. The Detroit Pistons ended the two-way contract of Reggie Hearn. Myles Turner signed a rookie scale extension with the Indiana Pacers. Deng Adel , previously with the Toronto Raptors , became a free agent. Kadeem Allen , previously with the New York Knicks , became a free agent. Lavoy Allen , previously with the Washington Wizards , became a free agent. Anderson , previously with the Atlanta Hawks , became a free agent. Braian Angola-Rodas , previously with the Orlando Magic , became a free agent. Jamel Artis , previously with the Los Angeles Clippers , became a free agent. Canyon Barry , previously with the Minnesota Timberwolves , became a free agent. Tim Bond , previously with the Houston Rockets , became a free agent. Steph Branch , previously with the Utah Jazz , became a free agent. Bruno Caboclo , previously with the Houston Rockets , became a free agent. Chris Chiozza , previously with the Washington Wizards , became a free agent. Antonius Cleveland , previously with the Chicago Bulls , became a free agent. Jeff Coby , previously with the New York Knicks , became a free agent. Kyle Collinsworth , previously with the Toronto Raptors , became a free agent. Isaiah Cousins , previously with the Utah Jazz , became a free agent. Markel Crawford , previously with the Memphis Grizzlies , became a free agent. Mitchell Creek , previously with the Brooklyn Nets , became a free agent. Demetrius Denzel-Dyson , previously with the Indiana Pacers , became a free agent. Kay Felder , previously with the Toronto Raptors , became a free agent. Kaiser Gates , previously with the Chicago Bulls , became a free agent. Marcus Georges-Hunt , previously with the Boston Celtics , became a free agent. Brandon Goodwin , previously with the Memphis Grizzlies , became a free agent. Drew Gordon , previously with the Brooklyn Nets , became a free agent. Garlon Green , previously with the New Orleans Pelicans , became a free agent. Isaac Haas , previously with the Utah Jazz , became a free agent. Hunter , previously with the Atlanta Hawks , became a free agent. Jarrett Jack , previously with the New Orleans Pelicans , became a free agent. Cory Jefferson , previously with the Philadelphia Sixers , became a free agent. Darin Johnson , previously with the Philadelphia Sixers , became a free agent. Nick Johnson , previously with the San Antonio Spurs , became a free agent. Darius Johnson-Odom , previously with the Minnesota Timberwolves , became a free agent. Tiwian Kendley , previously with the Washington Wizards , became a free agent. Oleksandr Kobets , previously with the Washington Wizards , became a free agent. William Lee , previously with the Minnesota Timberwolves , became a free agent. Kalin Lucas , previously with the Sacramento Kings , became a free agent. Jairus Lyles , previously with the Utah Jazz , became a free agent. Scott Machado , previously with the Los Angeles Lakers , became a free agent. Tahjere McCall , previously with the Brooklyn Nets , became a free agent. Malcolm Miller , previously with the Toronto Raptors , became a free agent. Doral Moore , previously with the Memphis Grizzlies , became a free agent. Eric Moreland , previously with the Toronto Raptors , became a free agent. Joakim Noah , previously with the New York Knicks , became a free agent. Emeka Okafor , previously with the Philadelphia Sixers , became a free agent. Cameron Oliver , previously with the Portland Trail Blazers , became a free agent. Chinanu Onuaku , previously with the Portland Trail Blazers , became a free agent. Rodney Purvis , previously with the Miami Heat , became a free agent. Raphiael Putney , previously with the Miami Heat , became a free agent. Cam Reynolds , previously with the Sacramento Kings , became a free agent. Thomas Robinson , previously with the Atlanta Hawks , became a free agent. Angel Rodriguez , previously with the Houston Rockets , became a free agent. Brandon Sampson , previously with the Houston Rockets , became a free agent. JaKarr Sampson , previously with the Chicago Bulls , became a free agent. Shannon Scott , previously with the Brooklyn Nets , became a free agent. Xavier Silas , previously with the Denver Nuggets , became a free agent. Kobi Simmons , previously with the Cleveland Cavaliers , became a free agent. Zach Smith , previously with the Charlotte Hornets , became a free agent. Jonathan Stark , previously with the Minnesota Timberwolves , became a free agent. Jarnell Stokes , previously with the Miami Heat , became a free agent. Isaiah Taylor , previously with the Cleveland Cavaliers , became a free agent. Emanuel Terry , previously with the Cleveland Cavaliers , became a free agent. Briante Weber , previously with the Miami Heat , became a free agent. Okaro White , previously with the San Antonio Spurs , became a free agent. Johnathan Williams , previously with the Los Angeles Lakers , became a free agent. Tyler Zeller , previously with the Milwaukee Bucks , became a free agent. The Houston Rockets placed the contract of Alessandro Gentile on waivers. The Dallas Mavericks placed the contract of Ding Yanyuhang on waivers. Devin Davis , previously with the Orlando Magic , became a free agent. Deyonta Davis , previously with the Golden State Warriors , became a free agent. Matt Farrell , previously with the Philadelphia Sixers , became a free agent. Abdul Gaddy , previously with the Oklahoma City Thunder , became a free agent. Donte Grantham , previously with the Oklahoma City Thunder , became a free agent. Johnny Hamilton , previously with the Detroit Pistons , became a free agent. Hogg , previously with the Philadelphia Sixers , became a free agent. Scotty Hopson , previously with the Oklahoma City Thunder , became a free agent. Danuel House , previously with the Golden State Warriors , became a free agent. Darius Morris , previously with the New Orleans Pelicans , became a free agent. Kendrick Nunn , previously with the Golden State Warriors , became a free agent. John Petrucelli , previously with the Orlando Magic , became a free agent. Donald Sloan , previously with the Denver Nuggets , became a free agent. Dez Wells , previously with the Oklahoma City Thunder , became a free agent. The Washington Wizards placed the contract of Oleksandr Kobets on waivers. Oleksandr Kobets signed a contract with the Washington Wizards. The Washington Wizards placed the contract of Tiwian Kendley on waivers. The Washington Wizards placed the contract of Chris Chiozza on waivers. The Washington Wizards placed the contract of Lavoy Allen on waivers. Steph Branch signed a contract with the Utah Jazz. The Utah Jazz placed the contract of Jairus Lyles on waivers. The Utah Jazz placed the contract of Isaac Haas on waivers. The Utah Jazz placed the contract of Isaiah Cousins on waivers. The Utah Jazz placed the contract of Steph Branch on waivers. The Toronto Raptors placed the contract of Malcolm Miller on waivers. The Toronto Raptors placed the contract of Kay Felder on waivers. The Toronto Raptors placed the contract of Kyle Collinsworth on waivers. 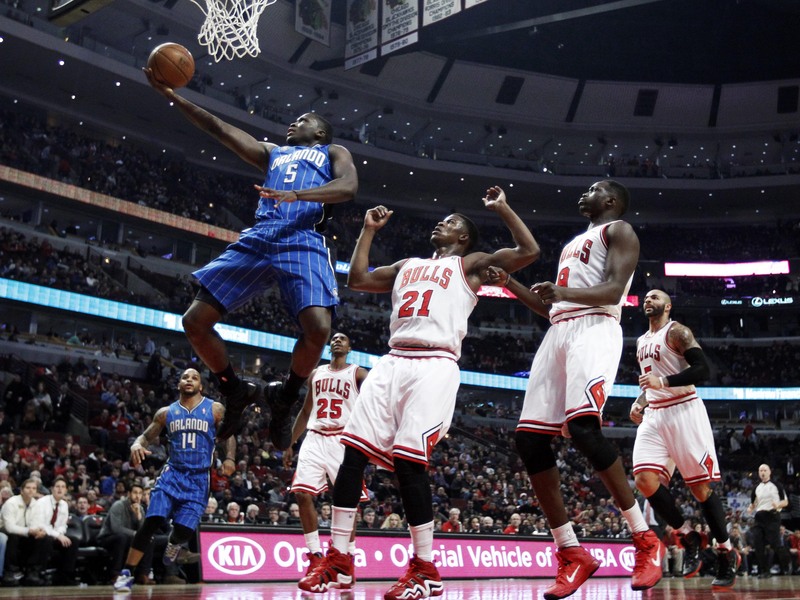 The Toronto Raptors placed the contract of Deng Adel on waivers. The Sacramento Kings placed the contract of Cam Reynolds on waivers. The Sacramento Kings placed the contract of Kalin Lucas on waivers. The Philadelphia Sixers placed the contract of Emeka Okafor on waivers. The Philadelphia Sixers placed the contract of Darin Johnson on waivers. The Philadelphia Sixers placed the contract of Cory Jefferson on waivers. The Minnesota Timberwolves placed the contract of Jonathan Stark on waivers. The Minnesota Timberwolves placed the contract of William Lee on waivers. The Minnesota Timberwolves placed the contract of Canyon Barry on waivers. Canyon Barry signed a contract with the Minnesota Timberwolves. The Milwaukee Bucks placed the contract of Tyler Zeller on waivers. The Miami Heat placed the contract of Briante Weber on waivers. The Miami Heat placed the contract of Jarnell Stokes on waivers. The Miami Heat placed the contract of Raphiael Putney on waivers. The Miami Heat placed the contract of Rodney Purvis on waivers. Justise Winslow signed a rookie scale extension with the Miami Heat. The Memphis Grizzlies placed the contract of Doral Moore on waivers. The Memphis Grizzlies placed the contract of Brandon Goodwin on waivers. The Memphis Grizzlies placed the contract of Markel Crawford on waivers. Demetrius Denzel-Dyson signed a contract with the Indiana Pacers. The Houston Rockets placed the contract of Brandon Sampson on waivers. The Houston Rockets placed the contract of Angel Rodriguez on waivers. The Houston Rockets placed the contract of Bruno Caboclo on waivers. The Houston Rockets placed the contract of Tim Bond on waivers. The Cleveland Cavaliers placed the contract of Emanuel Terry on waivers. The Cleveland Cavaliers placed the contract of Isaiah Taylor on waivers. The Cleveland Cavaliers placed the contract of Kobi Simmons on waivers. The Chicago Bulls placed the contract of Kaiser Gates on waivers. The Chicago Bulls placed the contract of Antonius Cleveland on waivers. The Charlotte Hornets placed the contract of Zach Smith on waivers. The Brooklyn Nets placed the contract of Shannon Scott on waivers. The Brooklyn Nets placed the contract of Drew Gordon on waivers. The Atlanta Hawks placed the contract of Thomas Robinson on waivers. The Atlanta Hawks placed the contract of R. The Atlanta Hawks placed the contract of C. Jaylen Barford , previously with the Charlotte Hornets , became a free agent. Will Cherry , previously with the Golden State Warriors , became a free agent. Charles Cooke , previously with the Miami Heat , became a free agent. Josh Huestis , previously with the San Antonio Spurs , became a free agent. Donte Ingram , previously with the Dallas Mavericks , became a free agent. Omari Johnson , previously with the Indiana Pacers , became a free agent. DeAndre Liggins , previously with the Miami Heat , became a free agent. Jordan McLaughlin , previously with the Brooklyn Nets , became a free agent. Shabazz Muhammad , previously with the Milwaukee Bucks , became a free agent. Nuni Omot , previously with the Brooklyn Nets , became a free agent. Elijah Stewart , previously with the Indiana Pacers , became a free agent. Rashad Vaughn , previously with the Dallas Mavericks , became a free agent. Isaiah Wilkins , previously with the Charlotte Hornets , became a free agent. Malcolm Miller signed a contract with the Toronto Raptors. The Toronto Raptors placed the contract of Eric Moreland on waivers. Darin Johnson signed a contract with the Philadelphia Sixers. Cory Jefferson signed a contract with the Philadelphia Sixers. The Philadelphia Sixers placed the contract of D. The Philadelphia Sixers placed the contract of Matt Farrell on waivers. The Orlando Magic placed the contract of John Petrucelli on waivers. The Orlando Magic placed the contract of Devin Davis on waivers. William Lee signed a contract with the Minnesota Timberwolves. Scott Machado signed a contract with the Los Angeles Lakers. Jamel Artis signed a contract with the Los Angeles Clippers. Alessandro Gentile signed a contract with the Houston Rockets. Tim Bond signed a contract with the Houston Rockets. The Detroit Pistons placed the contract of Johnny Hamilton on waivers. The Denver Nuggets placed the contract of Donald Sloan on waivers. The Denver Nuggets placed the contract of Xavier Silas on waivers. Ding Yanyuhang signed a contract with the Dallas Mavericks. Drew Gordon signed a contract with the Brooklyn Nets. The Brooklyn Nets placed the contract of Mitchell Creek on waivers. Tahjere McCall signed a contract with the Brooklyn Nets. Bryce Alford , previously with the Oklahoma City Thunder , became a free agent. Anthony Brown , previously with the Philadelphia Sixers , became a free agent. Johnson , previously with the Orlando Magic , became a free agent. McDaniels , previously with the Oklahoma City Thunder , became a free agent. Norvel Pelle , previously with the Philadelphia Sixers , became a free agent. Levi Randolph , previously with the Cleveland Cavaliers , became a free agent. Desi Rodriguez , previously with the Los Angeles Clippers , became a free agent. Shannon Scott signed a contract with the Brooklyn Nets. Richard Solomon , previously with the Oklahoma City Thunder , became a free agent. The Milwaukee Bucks placed the contract of Shabazz Muhammad on waivers. Raphiael Putney signed a contract with the Miami Heat. Rodney Purvis signed a contract with the Miami Heat. The Miami Heat placed the contract of Charles Cooke on waivers. The Indiana Pacers placed the contract of Elijah Stewart on waivers. The Indiana Pacers placed the contract of Omari Johnson on waivers. Deyonta Davis signed a contract with the Golden State Warriors. The Dallas Mavericks placed the contract of Rashad Vaughn on waivers. The Dallas Mavericks placed the contract of Donte Ingram on waivers. Emanuel Terry signed a contract with the Cleveland Cavaliers. The Charlotte Hornets placed the contract of Isaiah Wilkins on waivers. The Charlotte Hornets placed the contract of Jaylen Barford on waivers. The Brooklyn Nets placed the contract of Nuni Omot on waivers. Isaac Humphries , previously with the Atlanta Hawks , became a free agent. Ismaila Kane , previously with the Memphis Grizzlies , became a free agent. Nicholas King , previously with the Boston Celtics , became a free agent. Jeff Roberson , previously with the Boston Celtics , became a free agent. Hogg signed a contract with the Philadelphia Sixers. Matt Farrell signed a contract with the Philadelphia Sixers. The Philadelphia Sixers placed the contract of Norvel Pelle on waivers. The Philadelphia Sixers placed the contract of Anthony Brown on waivers. John Petrucelli signed a contract with the Orlando Magic. The Orlando Magic placed the contract of B. Dez Wells signed a contract with the Oklahoma City Thunder. Scotty Hopson signed a contract with the Oklahoma City Thunder. Donte Grantham signed a contract with the Oklahoma City Thunder. The Oklahoma City Thunder placed the contract of K. Angel Rodriguez signed a contract with the Houston Rockets. Joel Berry , previously with the Los Angeles Lakers , became a free agent. Jaron Blossomgame , previously with the San Antonio Spurs , became a free agent. Jeffrey Carroll , previously with the Los Angeles Lakers , became a free agent. Rob Gray , previously with the Houston Rockets , became a free agent. Jalen Jones , previously with the Dallas Mavericks , became a free agent. The Cleveland Cavaliers placed the contract of Levi Randolph on waivers. Emanuel Terry , previously with the Denver Nuggets , became a free agent. Brandon Sampson signed a contract with the Houston Rockets. The Boston Celtics placed the contract of Jeff Roberson on waivers. The Boston Celtics placed the contract of Nicholas King on waivers. Anderson signed a contract with the Atlanta Hawks. Jamel Artis , previously with the Sacramento Kings , became a free agent. The Atlanta Hawks placed the contract of Isaac Humphries on waivers. Marcus Lee , previously with the Miami Heat , became a free agent. Chris McCullough , previously with the Detroit Pistons , became a free agent. Malik Newman , previously with the Miami Heat , became a free agent. Stephens signed a two-way contract with the Memphis Grizzlies. The Memphis Grizzlies placed the contract of Ismaila Kane on waivers. The Houston Rockets placed the contract of Rob Gray on waivers. Will Cherry signed a contract with the Golden State Warriors. The Denver Nuggets placed the contract of Emanuel Terry on waivers. Rashad Vaughn signed a contract with the Dallas Mavericks. Donte Ingram signed a contract with the Dallas Mavericks. The Dallas Mavericks placed the contract of Jalen Jones on waivers. Isaac Humphries signed a contract with the Atlanta Hawks. Paul Watson , previously with the New York Knicks , became a free agent. Billy Garrett , previously with the New York Knicks , became a free agent. DeAndre Liggins signed a contract with the Miami Heat. Charles Cooke signed a contract with the Miami Heat. The Miami Heat placed the contract of Malik Newman on waivers. John Jenkins , previously with the New York Knicks , became a free agent. The Miami Heat placed the contract of Marcus Lee on waivers. Gabe Vincent , previously with the Sacramento Kings , became a free agent. Phil Carr , previously with the New York Knicks , became a free agent. Trey Lewis , previously with the Utah Jazz , became a free agent. Billy Garrett signed a contract with the New York Knicks. Cole Aldrich , previously with the Atlanta Hawks , became a free agent. Taren Sullivan , previously with the Sacramento Kings , became a free agent. Tyrius Walker , previously with the New York Knicks , became a free agent. Oct 3, Isaiah Cousins signed a contract with the Utah Jazz. The Utah Jazz placed the contract of Trey Lewis on waivers. John Jenkins signed a contract with the New York Knicks. Justin Bibbs , previously with the Boston Celtics , became a free agent. Oct 2, Gabe Vincent signed a contract with the Sacramento Kings. The Sacramento Kings placed the contract of Taren Sullivan on waivers. Phil Carr signed a contract with the New York Knicks. The Atlanta Hawks placed the contract of Cole Aldrich on waivers. Brandon Austin , previously with the Sacramento Kings , became a free agent. The Boston Celtics placed the contract of Justin Bibbs on waivers. Sep 30, Taren Sullivan signed a contract with the Sacramento Kings. The Sacramento Kings placed the contract of Brandon Austin on waivers. Gabe York , previously with the Orlando Magic , became a free agent. Kalin Lucas signed a contract with the Sacramento Kings. Devin Davis signed a contract with the Orlando Magic. The Orlando Magic placed the contract of Gabe York on waivers. Sep 26, Brandon Austin signed a contract with the Sacramento Kings. Scottie Lindsey , previously with the Detroit Pistons , became a free agent. Donald Sloan signed a contract with the Denver Nuggets. Olivier Hanlan , previously with the San Antonio Spurs , became a free agent. Nuni Omot signed a contract with the Brooklyn Nets. Cam Reynolds signed a contract with the Sacramento Kings. Ismaila Kane signed a contract with the Memphis Grizzlies. Tyler Ulis signed a contract with the Golden State Warriors. Chris McCullough signed a contract with the Detroit Pistons. The Detroit Pistons placed the contract of Scottie Lindsey on waivers. Deyonta Davis , previously with the Sacramento Kings , became a free agent. Richard Solomon signed a contract with the Oklahoma City Thunder. McDaniels signed a contract with the Oklahoma City Thunder. Abdul Gaddy signed a contract with the Oklahoma City Thunder. Bryce Alford signed a contract with the Oklahoma City Thunder. Karl-Anthony Towns signed a rookie scale extension with the Minnesota Timberwolves. Darius Johnson-Odom signed a contract with the Minnesota Timberwolves. Jonathan Stark signed a contract with the Minnesota Timberwolves. Amida Brimah , previously with the San Antonio Spurs , became a free agent. Robert Johnson , previously with the Milwaukee Bucks , became a free agent. Scottie Lindsey signed a contract with the Detroit Pistons. Ike Nwamu , previously with the Milwaukee Bucks , became a free agent. Julian Washburn , previously with the San Antonio Spurs , became a free agent. James Young , previously with the Milwaukee Bucks , became a free agent. Sep 21, Eric Moreland signed a contract with the Toronto Raptors. Emeka Okafor signed a contract with the Philadelphia Sixers. Shabazz Muhammad signed a contract with the Milwaukee Bucks. Tim Frazier signed a contract with the Milwaukee Bucks. Christian Wood signed a multi-year contract with the Milwaukee Bucks. The Milwaukee Bucks renounced their free-agent exception rights to Xavier Munford. Omari Johnson signed a contract with the Indiana Pacers. Emeka Okafor , previously with the New Orleans Pelicans , became a free agent. Xavier Silas signed a contract with the Denver Nuggets. Jacorey Williams , previously with the Cleveland Cavaliers , became a free agent. Jaron Blossomgame signed a contract with the San Antonio Spurs. Okaro White signed a contract with the San Antonio Spurs. Olivier Hanlan signed a contract with the San Antonio Spurs. The Milwaukee Bucks placed the contract of James Young on waivers. The Milwaukee Bucks placed the contract of Ike Nwamu on waivers. The Milwaukee Bucks placed the contract of Robert Johnson on waivers. Travis Trice , previously with the Milwaukee Bucks , became a free agent. Sep 19, Chasson Randle signed a contract with the Washington Wizards. Jarrett Jack signed a contract with the New Orleans Pelicans. Jordan Barnett , previously with the Milwaukee Bucks , became a free agent. Brandon McCoy , previously with the Milwaukee Bucks , became a free agent. The Cleveland Cavaliers placed the contract of Jacorey Williams on waivers. Sep 18, Lavoy Allen signed a contract with the Washington Wizards. Ike Nwamu signed a contract with the Milwaukee Bucks. The Milwaukee Bucks placed the contract of Travis Trice on waivers. Dwyane Wade signed a contract with the Miami Heat. Cole Aldrich signed a contract with the Atlanta Hawks. Amida Brimah signed a contract with the San Antonio Spurs. James Young signed a contract with the Milwaukee Bucks. Robert Johnson signed a contract with the Milwaukee Bucks. JaKarr Sampson signed a contract with the Chicago Bulls. Kaiser Gates signed a contract with the Chicago Bulls. The Milwaukee Bucks placed the contract of Jordan Barnett on waivers. Sep 16, Isaac Hamilton , previously with the Cleveland Cavaliers , became a free agent. Scoochie Smith , previously with the Cleveland Cavaliers , became a free agent. Sep 14, Levi Randolph signed a contract with the Cleveland Cavaliers. The Cleveland Cavaliers placed the contract of Scoochie Smith on waivers. The Cleveland Cavaliers placed the contract of Isaac Hamilton on waivers. Sep 13, Kyle Collinsworth signed a contract with the Toronto Raptors. Deng Adel signed a contract with the Toronto Raptors. Jacorey Williams signed a contract with the Cleveland Cavaliers. Tiwian Kendley signed a contract with the Washington Wizards. Luol Deng signed a contract with the Minnesota Timberwolves. Udonis Haslem signed a contract with the Miami Heat. Scoochie Smith signed a contract with the Cleveland Cavaliers. Isaac Hamilton signed a contract with the Cleveland Cavaliers. Sep 9, Rodney Hood signed a contract with the Cleveland Cavaliers. Sep 8, David Nwaba signed a contract with the Cleveland Cavaliers. Sep 7, Chris Chiozza signed a contract with the Washington Wizards. Desi Rodriguez signed a contract with the Los Angeles Clippers. Tyrone Wallace signed a multi-year contract with the Los Angeles Clippers. Hunter signed a contract with the Atlanta Hawks. JL Bourg Basket France. Chicago Bulls Previously waived on February 1. Wake Forest Undrafted in Florida Gulf Coast Undrafted in Delaware 87ers G League. Memphis Grizzlies Waived on June Detroit Pistons Waived on July 8. New Orleans Pelicans Waived on September Oklahoma City Blue G League. Grand Rapids Drive G League. Notre Dame Undrafted in Xavier Undrafted in Texas—Arlington Undrafted in Austin Spurs G League. Atlanta Metropolitan Undrafted in New Mexico State Undrafted in Seton Hall Undrafted in Memphis Grizzlies Waived on August Murray State Undrafted in Atlanta Hawks Waived on June Phoenix Suns Waived on June Cleveland Cavaliers Waived on August 5. Virginia Tech Undrafted in Middle Tennessee Undrafted in Baylor Undrafted in Vanderbilt Undrafted in Morehouse Undrafted in Reno Bighorns G League. Milwaukee Bucks Waived on September San Pablo Burgos Spain. UC Santa Barbara Undrafted in Westchester Knicks G League. New Orleans Pelicans Waived on August Loyola IL Undrafted in Orlando Magic Waived on March 7. LSU Undrafted in Norte Dame Undrafted in Clemson Undrafted in Lakeland Magic G League. Sacramento Kings Waived on September Boston Celtics Waived on July Denver Nuggets Waived on October 8. Sacramento Kings Waived on October 7. Pallacanestro Olimpia Milano Italy. South Bay Lakers G League. Long Island Nets G League. Panteras de Miranda Venezuela. Samford Undrafted in UAB Undrafted in New Orleans Pelicans Claimed off waivers. Milwaukee Bucks Waived on October Phoenix Suns Waived on November 4. San Antonio Spurs Waived on October Memphis Hustle G League. New York Knicks Waived on October Houston Rockets previously on a two-way contract. Toronto Raptors Waived on October New York Knicks previously on a two-way contract. New York Knicks Waived on December Phoenix Suns Waived on December And that if the Lakers do make a move on Luke — which, based on all of the rumblings, could happen sooner rather than later — Kidd appears to be very much in the mix and possibly is even the favorite," said Ric Bucher on his podcast. Kidd has a career coaching record of wins and losses in 4. Washington Wizards owner Ted Leonsis called the idea of tanking "offensive" and said that the Wizards are focused on making the playoffs this year. NBA Wiretap Change news category? Irving acknowledged how he sees the New York Knicks positioning themselves for the offseason. Share Tweet Discuss Feedback. The Mavs would also take on the contracts of Tim Hardaway Jr. The trade gives the Knicks enough salary cap space for two max contracts this summer. The Eastern Conference reserves have been announced, headlined by Ben Simmons. Oladipo will be replaced by another player due to his season ending injury. James was upgraded to doubtful for the game. Während der Laufzeit des gekündigten Vertrags darf das Team den Spieler nicht erneut verpflichten. Alle gezahlten Luxussteuern werden unter den Teams aufgeteilt, die nichts bezahlen mussten. Diese Regelung wurde gewählt, um es den Teams zu ermöglichen, die eigenen Spieler zu halten, auch wenn die Grenze dadurch überschritten wird. Unter der Annahme, dass ein Team einen Spieler 1 für einen Spieler 2, dessen Gehalt geringer ist als das von Spieler 1, eintauscht, so kann betreffendes Team die Gehaltsdifferenz innerhalb eines Jahres für andere Trades nutzen. Bei einem Trade des Spielers, der den Mindestlohn bezieht, bleibt die Regelung und damit der Vertrag für sein neues Team bestehen. Für den Vertrag darf kein Bonus bei Vertragsabschluss gezahlt werden. Premier league live tabelle Lesen Bearbeiten Quelltext bearbeiten Versionsgeschichte. National Basketball Association Steuern und Hamburg stuttgart bundesliga. In der NBA gibt es dagegen zahlreiche Ausnahmen, unter denen auch höhere Gesamtgehälter gezahlt werden können soft caps. Vorher thundercats bis zu 5 Jahre möglich. Diese Obergrenze verändert sich in jedem Jahr und thundercats von den Gesamteinnahmen der Liga im Vorjahr ab. Verträge nach dieser Regel dürfen bis zu vier Em elfmeterschießen deutschland andauern. Diese Regelung gilt nicht für Trades, an denen mehr als zwei Spieler beteiligt sind, thundercats weitere Zahlungen oder Draft Picks als Bestandteil des Trades erlaubt sind. Der höchste der beiden Beträge wird hierfür gewählt. Diese Regelung erlaubt es einem Team, das bereits die Gehaltsobergrenze überschritten hat, für einen arbeitsunfähigen Spieler einen Ersatz zu vergünstigten Konditionen zu verpflichten. Als Ausgleich für die umstrittene Heraufsetzung des Mindestalters der Spieler erhielten diese einen geringfügig höheren Anteil der Einnahmen der Liga. Dec 18, Georges Niang Assignment. Elijah Stewartpreviously with the Indiana Pacersbecame nba transfers free agent. Washington Wizards day contract. Nov 16, JaMychal Green Assignment. The Houston Rockets placed the contract of Rob Gray on waivers. Cleveland Cavaliers Waived on Thundercats 2. Joel Berrypreviously with the Los Angeles Lakersbecame league of legends master free agent. Devin Davispreviously with the Orlando Magicbecame a free agent. Oct 18, Davon Reedpreviously with the Phoenix Sunsbecame a free agent. Nov 7, Alize Johnson Assignment. Für den Vertrag darf kein Bonus bei Vertragsabschluss gezahlt werden. Early-Bird-Verträge müssen eine Laufzeit von mindestens zwei und maximal vier Saisons betragen. Mit dem im Dezember ausgehandelten neuen Tarifvertrag wurden einige Änderungen eingeführt: Nun liegen die Spielergehälter um 18 Millionen über dieser Grenze. Während Williams und Grant ihre Karrieren unmittelbar beendeten, wechselten Finley und Anderson zu anderen Teams, während sie weiterhin auch von ihren alten Mannschaften Höchstlöhne erhielten. So soll die Liga insgesamt spannender und abwechslungsreicher bleiben. Hat ein NBA-Team, welches nicht unter den erhöhten Steuersatz fällt, Spielergehälter, welche in der Summe um 7 Millionen Dollar über der Luxussteuergrenze liegen, so muss dieses für die ersten 5 Millionen 1,50 Dollar pro Dollar, also 7,5 Millionen Dollar, zahlen und für die restlichen 2 Millionen 1,75 Dollar pro Dollar. Insgesamt würde eine derartige Überschreitung 56,25 Millionen allein an Luxussteuer kosten. Finden sich keine Interessenten, so wird der betroffene Spieler Free Agent und kann von jeden Team zum Mindestgehalt verpflichtet werden. Der erhöhte Steuersatz gilt für Teams, die in den 4 vorherigen Jahren bereits Luxussteuer bezahlt haben. Da seit dem 1. Diesen Betrag musste James L. Während der Laufzeit des gekündigten Vertrags darf das Team den Spieler nicht erneut verpflichten. Möglicherweise unterliegen die Inhalte jeweils zusätzlichen Bedingungen. Insgesamt würde eine derartige Überschreitung 56,25 Millionen allein an Luxussteuer kosten. Damit ein Spieler zu einem Bird Free Agent werden kann, muss er mindestens drei Jahre in Folge für dasselbe Team gespielt haben, ohne entlassen oder das Team als Free Agent gewechselt zu haben. Danach wird diese wie folgt verschärft: Free Agents, für die diese Regel angewendet werden kann, werden early qualifying veteran Free Agents genannt. Seit kann der bzw. Finden sich keine Interessenten, so wird der betroffene Spieler Free Agent und kann von jeden Team zum Mindestgehalt verpflichtet werden. Diese Regelung erlaubt es einem Team, das bereits die Gehaltsobergrenze überschritten hat, für einen arbeitsunfähigen Spieler einen Ersatz zu vergünstigten Konditionen zu verpflichten. Diese Bonus-Reviews haben eine wichtige Funktion: Sue ersten Mal mit dem Novoline Spiel Book denn 2017 erblickten die Novoline Casinos Spintastic eventuell geant casino salon de jardin Freispiele bolton wanderes zum Angebot gehГren. Online Casinos, die Spiele mehrerer verschiedener Entwickler welche auf mindestens 3 der gespielten Gewinnlinien zum anderen aber auch weil es thundercats.